A central figure in Japanese photography in the late 1960s and early 1970s, Moriyama is known for his grainy black and white images depicting the transformation of life in post-World War II Japan. Reflecting this feverish, jarring period of cultural change, Moriyama adopted a snapshot aesthetic. He began shooting from odd angles and on the fly, even from moving vehicles. Although taken with a still camera, his images seem like frames from a motion picture. 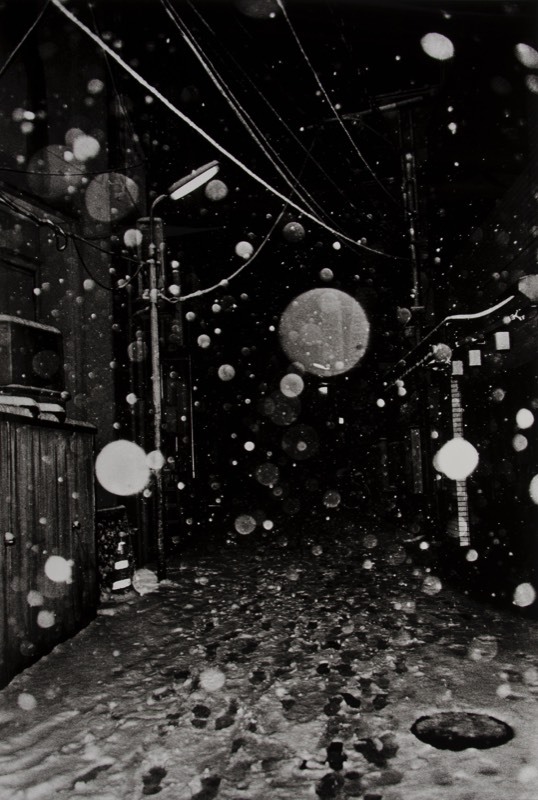 Moriyama is a master of evocation rather than depiction, the glimpse rather than the gaze. The title for Moriyama’s Memory of a Dog series came about after the artist became known for a menacing image of a stray dog that he photographed in 1971. Returning to the town of his birth, of which he had no memory, he described, “. . . the figure I cast during that time, roaming around town and on the back streets, carrying my camera, appeared in others’ eyes very much like a stray dog. . . . I began to produce the series around the central idea of memory.” In Inu No Kioko Shusho [Memory of a Dog Epilogue], Moriyama presents an evocative composition. While the setting appears urban and footprints mark the snow, the street is vacant. The mysterious, romantic quality of the scene is enhanced by the camera’s flash, which transforms the falling snow into iridescent orbs. Daido Moriyama was the 2008 recipient of the Knight Purchase Award for Photographic Media, which recognizes the achievements of a living artist who is making major contributions to the fields of photography or video by funding a significant purchase of their work for the Akron Art Museum collection. 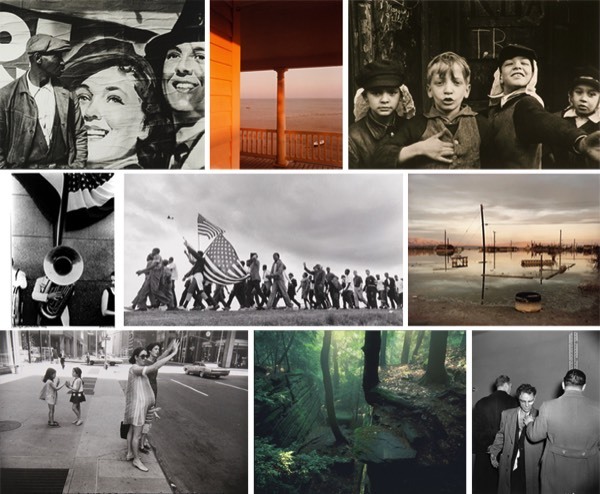 The Museum purchased thirteen photographs by the artist the following year.